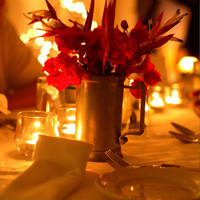 Ziggy’s restaurant in Montserrat is fine dining at its best. What do Princess Anne, American actor Danny Glover and Sir Trevor McDonald have in common? They have all eaten at Ziggy’s - and Sir Trevor declared it his best meal outside the UK’s shores. Ziggy’s offers a fine dining experience without being attached to an expensive luxury resort. The menu is constantly changed to use the best local, seasonal produce. Steak and butterfly shrimps are great favourites. Ziggy’s also offers the best selection of wines on the whole of Montserrat.